Home / Digital Marketing / Why is local SEO so important for business? Why is local SEO so important for business? As per the reports, more than 45% of internet searches have local intent. Hence, it is so important to market the local business online and here comes the importance of local SEO services. It helps business to take the products and services to local customers at the exact time of making the search for them online. Are you sure that your website gets enough clicks for local searches? If not, it is the time to consult a reputed SEO expert of the country to bring the local searches on your product and services. It is achieved through several methods and techniques, some of which entirely differs from those used in standard SEO services. There is no doubt that local SEO is certainly important. Especially for those who provide locality-based services and those who run business with a brick-and-mortar store. According to studies, 95% of smartphone users use the device to make local searches. Out of them, 61% call the stores and 59% visits the store for the products and services. It is also found that more than 70% of the mobile users make the call directly from the search results using the phones. Hence, it is so important for every business to make their local presence with the help of success assured SEO services in India. It is important to customize the contents and information on the websites. Here comes the importance of a reputed SEO expert or company in India. 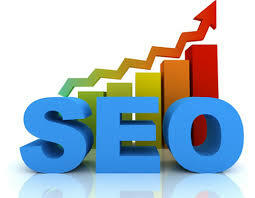 The process includes the systematic utilization of local SEO tools to make the website local search friendly. The content is the king and hence here the changes you have to be made in the website contents. Since this is SEO for location-based searches, physical address or location is so important to attract the search robots of search engines. Update the address in different business directories. If it is not there in the online sources and in your website, your website will not be shown for the searches made with ‘locality name or ‘near me'. Keep consistent NAP (Name, Address, and Phone number) for your business in all of the online directories where you listed the business. This is one of the best ways to make the search engines to think that your business is really genuine. Consistent NAP among different online directories increases the search rankings and helps you get more clicks for online searches. This is done through blog posts without backlinks. This means the listing of your business by a third party website. It includes the business name, location, and contact name. For example, if you run a restaurant, a food blog referring to your restaurant name as one of the best options to dine in your locality can attract search engines. This makes the search engines to know that you are doing a trustworthy business and it increases the rankings to get at top of the results. Present customers need fast services and hence make local searches. Get the best in SEO service in Jind to make your website local SEO friendly to attract a good volume of customers from your locality.